I can not remember the first time I tasted green tea. When I did, I have to say it surprised me how good it was. At the time, which was years ago, I had no clue there were different teas that served different purposes. Over the years I would drink green tea here and there but not at the rate I drink it now. During my weight loss journey I was looking for something that would speed up the fat loss process in an all natural way. The fact is, what I read when I read it, stood out for me (I have provided some links below on what I read). Green tea boosts your metabolism, provides energy, and if you drink enough of it, it acts like a laxative. When I say that, don’t take it as this is magical tea where this is all you have to drink to lose weight. NO! It is not like that. You have to put the right combinations in your body so your body will respond accordingly. This is just part of the bigger puzzle that you have to put together for your body. Everybody’s, body is different. You’ll have to find out what works for you. I started brewing my own green tea because I felt it was better for me to do. Some of the ingredients on the labels I could not pronounce let alone know what they were. Brewing my own made perfect sense to me. It is very easy to make. I have provided you a video tutorial on how to do it. I wanted to make this video so bad because so many people have inquired about it. So I got up early and filmed this. It surprises me how much people like Green tea. They may be interested in how to make it themselves which is even better. Reasons why I remove the labels is because when I rinse the bottles before putting them into the fridge this prevents the wet soggy labels from messing up my refrigerator door. Plus It’s just one of those little quirky things I do. Please enjoy this video. 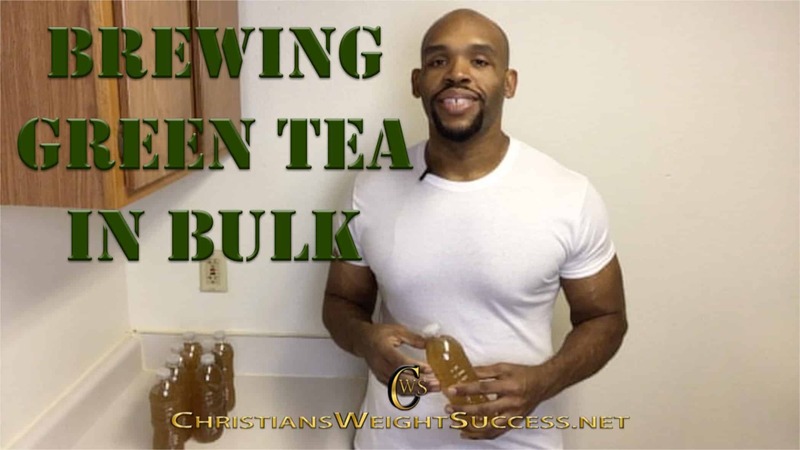 This entry was posted in DIY HEALTHY RECIPES and tagged DIY, FAT BURNING, GREEN TEA, HONEY, METABOLISM. Bookmark the permalink. Ever research oolong tea to increase metabolism?